Like clockwork, the whole team (plus a couple of German friends) appeared at the hotel early this morning for our first real ride as a group. Present were fellow lunatics from Canada, Scotland, Ireland, Holland and North & South Carolina. Here we are, checking out the first 25km of our route tomorrow morning. No flats, no wipe-outs and lots of friendly banter made it a most enjoyable 50 km spin. In the afternoon we went to the ‘village’ and got our goodies. We’ve been here two days, but it apparently wasn’t the case for many. 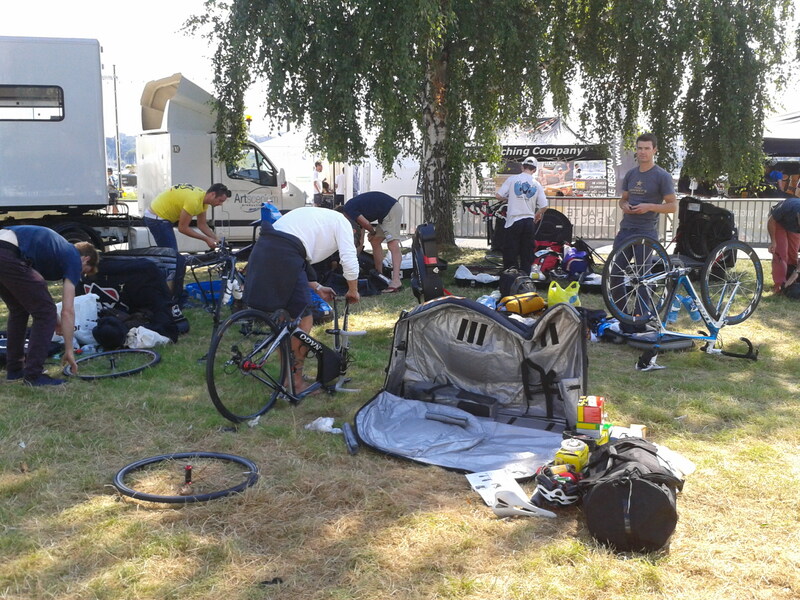 Here are a few riders assembling their bikes on the shores of Lake Geneva. They had info on each day of the week. Rob appears to like the profile of Stage 5. 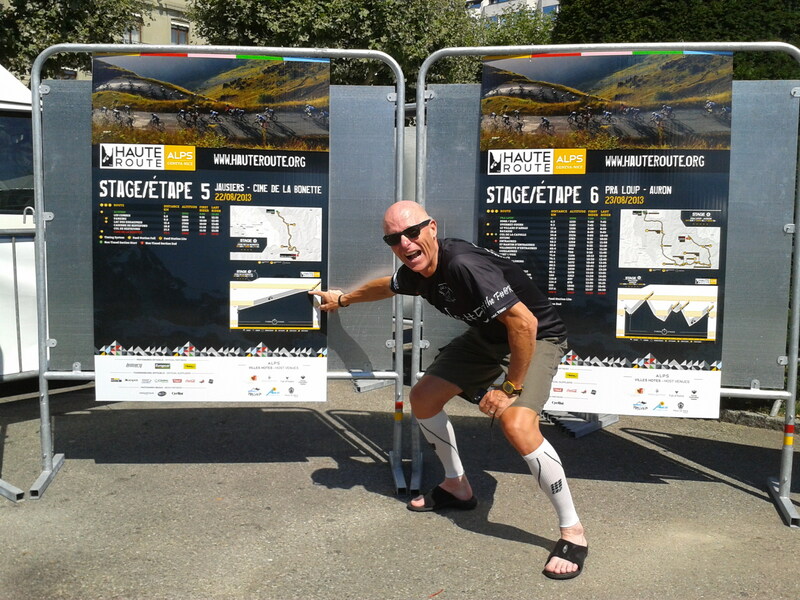 For those who don’t cycle, Rob is sporting compression socks. These kinds of events are probably the only places where this fashion statement slips by without a bat of an eye. Tonight we have a mandatory briefing, a pasta party, then a sleepless night before our 7am departure for the Alps tomorrow morning. Bring it on………….? Best of luck in the coming week to all you and all your teams/riders…. Best of best ofs …the wind at your back, legs of steel, a totally present head … and a safe ride throughout. Have a terrific ride guys! Tear up these little hills. You guys are going to do great!